Do you love to travel? Do you partake in recreational activities like snowboarding, surfing, off-road driving, mountain biking, parasailing etc? Are you looking for a way that you can share these moments with your friends and family, and let’s be honest, the world? If you have been wanting to find a way to document your excursions, be they on land, air or water, you may want to consider getting a GoPro. A GoPro is an action camera that can capture both digital still and video evidence of your adventures and tricks, that a smartphone just isn’t able to handle. This article will help you decide if the GoPro is right for you and if so, help you to choose the right GoPro, alongside various accessories such as GoPro mount clamp, surfing mount, suction cups that make all the difference. Unless, you’ve been living under a rock, you’ve probably heard of a GoPro. Founded by Nick Woodman in 2002, he was inspired to create the GoPro to capture quality action shots while on a surfing trip in Australia. At that time, there were no cameras that could capture quality action shots for a reasonable price that us mere mortals could afford. In 2004, Woodman released his first GoPro camera, a name based off the idea of him and his friends “going pro” in the surfing arena. The first camera used 35mm film, but since then the technology of the GoPro has evolved to include digital still and video cameras. It’s latest model, the Hero7 GoPro is currently the new benchmark for all action cameras (more details on GoPro cameras and their specific features can be found below). In the days of waterproof and shatterproof smartphones, it makes sense that many of us take our phones with us virtually everywhere. However, even with new technology that makes our phones tougher than ever, it can be devastating if something happens to your smartphone-it’s basically your whole life, plus many smartphones are wickedly expensive. With this is mind, it makes more sense to make a smaller investment to get a GoPro, especially if you like to participate in extreme sports/activities that you plan on documenting. For example, using a custom mount clamp for GoPro, you can hook up your camera to an off-road vehicle for evidence of the treacherous trails you drove and the scenic views your adventure provided you with. Nobody in their right mind is going to hook up their smartphone to the bar of their off-road vehicle! When you’re gearing up for adventure, the last thing you want to do is lug something around that’s heavy and/or bulky. This is why the GoPro is perfect, even for minimalist explorers. Their are some that see this as a challenge or disadvantage of the GoPro because it can make handling awkward, especially if you have larger hands. This is why we recommend you go to store to actually hold one and test it out before purchasing one. In addition to their small size, they are tough! Not only is this little camera waterproof, but it has proven itself in some pretty crazy tests, like being dropped out of a car at 40 MPH or tested against explosives. 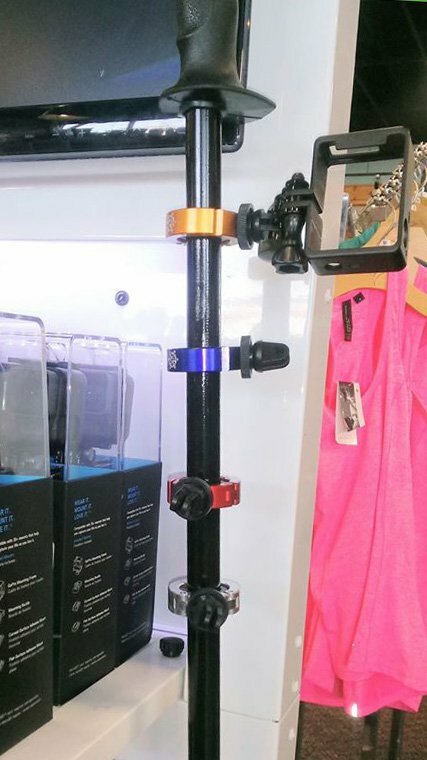 As mentioned before, GoPro’s come with accessories like GoPro mount clamps that can be clamped to bars of off-road vehicles, boats, ski poles, or parasail bars. In addition to having your vehicle or sports gear “wear” the GoPro, you can wear it too! GoPro offers wearable mount kits that can be attached to your head, wrist, helmet, chest, etc. This is one of the main selling points for GoPros and is why this camera is able to go where few have gone before. This is another popular advantage and ranks high as a selling point for many GoPro owners. The GoPro camera has fixed 170 degree angle that allows the user to capture almost everything in front of them. Which is a big deal if you’re trying to get an aerial shot of something or the entire landscape in front of you. Which GoPro & Accessories are Right for You? When GoPro released its Hero7 camera, the company did something bold. It stopped selling previous models of GoPro. But this isn’t to say that you can’t find these models elsewhere. Keep in mind though, that on Amazon the GoPro Hero5 sells for $214, while on GoPro’s website you can call the Hero7White yours for the low price of $179. GoPro also offers trade-in deals for money off when you purchase a Hero7 or Fusion camera. Currently, the latest GoPro that the company launched in September of 2018 is the Hero7 in white, black and silver additions. If you’re wanting the best camera for the best price, then this is the one for you. Featuring all of the specs of its predecessor the Hero 6, with additional upgrades that make it the optimal camera for social networks, like self-timer, live-streaming, and short 15 to 30 second video clips. Additionally, it provides image stabilization by smoothing out camera vibration and shakes. Add accessories that like a mount clamp for GoPro that allow you to take this one-of-a-kind action camera to new heights! Get your Hero7 here. The GoPro Fusion is the perfect option for anyone who takes their play serious. At $599, the Fusion is an investment, but one that we think is well worth it. 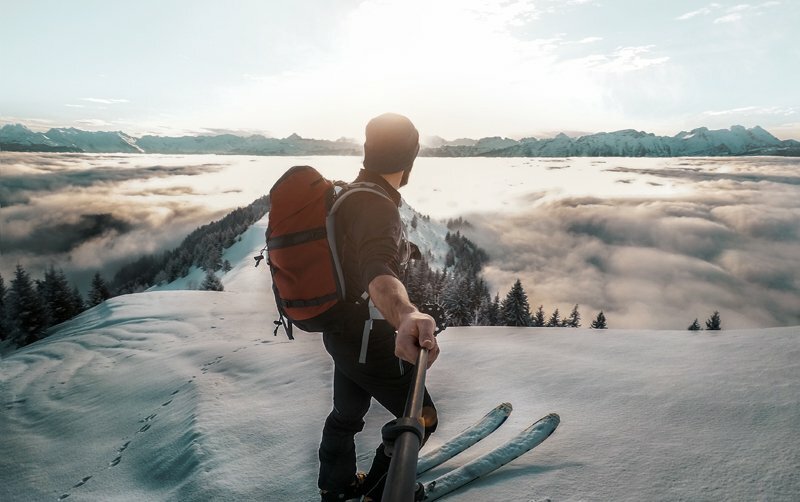 There are many additional accessories that you can outfit your GoPro with, from various kits like the travel, sports or adventure kits to quick clips and “chestys”, you’ll need to pick an accessory or accessories for how you most like to play. GoPro does offer mounts with clamps for GoPro, but if these don’t fit your off-road ride or your ski poles, you can find customized GoPro mount clamps created specifically for your needs, here. Customized GoPro mount clamps also are available in many different colors and can be engraved to show of your style while you hit the slopes or the trails. In addition to accessories, there are apps for GoPro that allow you add your “QuikStory” automatically and allow you to control your GoPro from your phone. You can also subscribe to GoPro Plus for $4.99 a month. This subscription package provides protection for your GoPro, auto cloud backup and discounts on accessories.